Recently there has been a new trend in Penguins hockey fandom. It goes like this: Crosby is having a slump, because he’s human and that happens, and a result Penguins fans argue that he is not worth the money. Yes, you read that right. The man who has shown loyalty to the city of Pittsburgh for years, so much so that he took a pay cut a lot of other players would not have to stay here, should be traded… because he is having a slump. This reminds me very much of the Fleury situation of a few years ago. The player appears human and has a rough patch, therefore not meeting the ridiculous expectations of a fan base and he should be gone as a result. Now I am the first person to admit that Fleury had his flaws but was it worth giving him Bales and a sports psychologist before voting him off of the island? YES YES YES. And the same with Crosby. Have you never had a point in your life where you were struggling? Are you so perfect? I wish I were that perfect. And for the record you may want him gone until he is playing against the Pens. Then you'll be the same fans that call for Rutherford to be fired for trading Crosby. So please Penguins fans, give Crosby a little time. 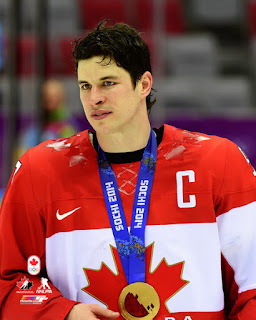 He is SIDNEY CROSBY after all. You look unrealistic and spoiled by demanding that he has about 8 points a game. I am sure no one on the planet wants to figure this out more than Sidney. And until then the Penguins have won 8 of their last 9 games. So enjoy the ride and have a little faith. But if that is the case that you are making that he is only human , then stop with all the bragging about him when he is performing well like he is Superhuman and better than any hockey player ever . Because he isn't .